The data, taken from the DVLA and published by the SMMT, shows that a total of two million used cars were registered in the first three months of the year – although this was down 4.8% on Q1 2017, the figures need to be considered in the context of an extremely buoyant 2017 Q1, with April 2017’s VED changes driving sales to skyrocket in the first three months of the year, according to Close Brothers Motor Finance. The firm also said that the severe winter weather also seen in the quarter impacted on sales. Demand for petrol engine cars fell 9.7%, as diesel registrations rose 2.0% and ultra-low emissions vehicle uptake grew 15.9% to 24,697 units. 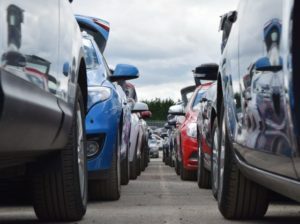 In particular, demand for electric cars rose 33.8% to 2,927 units, followed by hybrids, which rose 14.1% – these accounted for 1.2% of all used car transactions in the quarter, while petrol fuelled models took a 55.9% market share and diesel 42.8%.